“What are top 10 GATE online test series in India ? 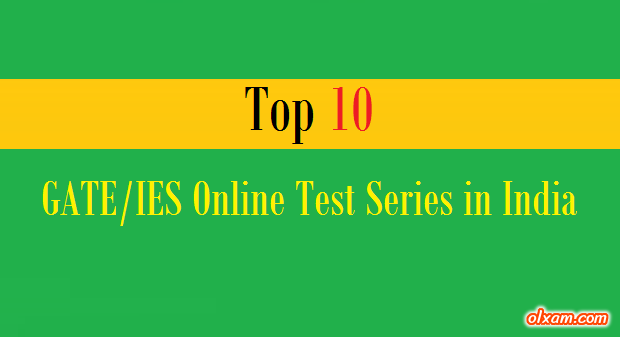 Top 10 GATE Online Test Series in India – GATE & IES exams are the most famous examinations among engineering & science graduates. Every year many candidates prepare for these exams in order to get admission into higher education programmes or get selection into Govt. / PSU services. A good amount of effort require to clear these national level exams thatswhy there is a requirement of good test series which can help these GATE & IES aspirants to achieve their goal in GATE & IES exams. Generally these exams test series provided by many coaching institutes for almost all popular branches, some of the famous branches are Electrical Engineering, Mechanical Engineering, Civil Engineering, Electronics and Communication Engineering, Computer Science and Information Technology. Here we are listing some good online test series in India which are guiding GATE & IES aspirants since many years. Please check below given tables sequentially. Coaching Courses GATE & IES. Candidate may use this list of GATE & IES online test series for their GATE & IES examination. We try our level best to make this list best. Still if your find any variation in our provided information, Please let us know. We will consider your request as soon as possible. ♣ Is it necessary to join coaching for GATE 2018 ? For Civil IES MASTER is masterpiece…. no one can beat. Yes, IES Master known for Civil Engineering competitive exam coaching. Could you please share your experience about their GATE & IES test series. If you can. Thanks.